How important are processes in conversion rate optimisation? Do processes matter for conversion optimisation? Processes matter as they help structure our behaviour and reduce the risk that we might forget to do something important. They provide for a consistent framework and can ensure rigour in our problem solving and strategy. 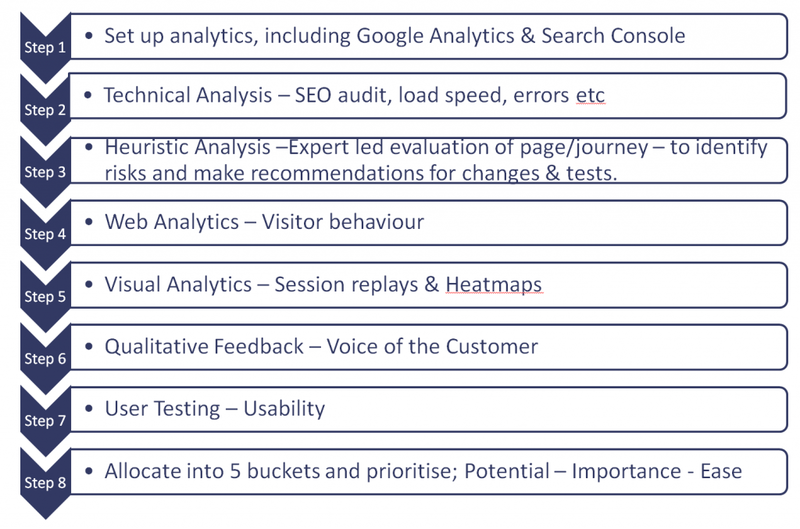 As a conversion rate optimisation (CRO) consultant I have a number of processes including one for persona development, conversion rate optimisation, a test and learn process and one for how to prioritise test ideas. Processes have an important role in optimisation, but what happens when we don’t listen to experts and become obsessed with our own processes? A few years ago I got a new boss following a restructure. He knew nothing about CRO and had managed a website for the past 6 years. The site had gone through a disastrous re-design and was in decline. He was very into processes and was known for getting things done and always followed the correct procedures. The first thing he did was tell us we needed a new process. The process would involve developing customer personas and getting agreement for all work with the various stakeholders before we could proceed with any work on experiments. I produced a process for how we could use personas for optimisation. That was the last time personas were mentioned. I also recommended we include usability testing into the new process. No, that was too expensive, our UX guy would build some into his schedule. In the new process all ideas for optimisation had to go through our manager for approval. He would then discuss the ideas with MarComs and the main stakeholder. Ideas disappeared into a black hole and when they came back they looked nothing like my brief. After a few weeks this was abandoned as our manager realised he was becoming the main bottleneck in the process. The new process involved having a meeting with MarComs before any tests went live to get their approval to proceed. MarComs had complained that our previous process had not involved them closely enough in the development of optimisation ideas. No one turned up at the first meeting, they were too busy. The number of meetings increased exponentially. Our new boss decided that although I was the only CRO specialist in the team that everyone should develop and run A/B tests. We agreed a process for this and I briefed the team on how they could proceed with test ideas. The number of tests we were running started to fall sharply as the new process meant it took a lot longer and needed much more effort to proceed with ideas. A few months later the first test that another member of the team had managed went live. I was asked to analyse the results, but I discovered there was no control (i.e. the old page had been taken down). They had decided to evaluate the performance of the new page by comparing metrics before and after the new design went live. I had to explain that it wouldn’t provide reliable data because the conversion rate is continuously fluctuating due to many reasons and so it is necessary to have a control for the analysis to be valid. Whilst I was on holiday our boss went live with his own A/B test. He decided to test a promotional page for a specific event against the homepage. He agreed that for those visitors who were served the promotional page they wouldn’t be able to access the homepage, even if they clicked on the site logo. When he looked at Google Analytics he noticed there was a big rise in visitors clicking on the navigation tab for the homepage. He thought that was odd. The number of tests we were running continued to decline. I submitted design ideas to MarComs for new tests. The mock-ups that came back looked very similar existing designs . Our boss said let MarComs do their job as they are the experts in website design. No thought was given to maybe conversion isn’t about design. No, this was the process that we had to follow. The number of tests we were running dropped to zero. The company was taken over. Our boss decided we should specialise in those areas where we have expertise and that I should concentrate on the online experiments. I was asked to explain why the number of tests we were running had fallen so much. The number of tests we were running started to rise again. Our boss got a new role in the organisation. I left the business as they didn’t want a central conversion team, but instead replicated my role across the company. Each website, even those with low traffic got a conversion analyst. Processes are there to assist you in achieving your business objectives and should help you avoid random and tactical optimisation approach. Base your optimisation processes on solid evidence and good practice, not your management philosophy or company silos. When people become obsessed with processes this can lead to lazy thinking and an over-reliance on existing ways of working. Even a good process when followed without thought can be a recipe for disaster. Processes can then become an excuse not to challenge the status quo and will ultimately damage productivity and innovation. Don’t let processes take over as they should help rather than hinder innovation and meeting business objectives. Having a certain amount of flexibility in your processes is a good idea as each problem is unique and variation can sometimes lead to new ideas being developed. Conversion rate optimisation is not just about process. The most important factor for successful CRO is developing a culture from the top of the business downwards that puts customer goals first. It should encourage people to experiment, but A/B tests are just a way of validating ideas and good user research and evidence based decision making are probably more important. 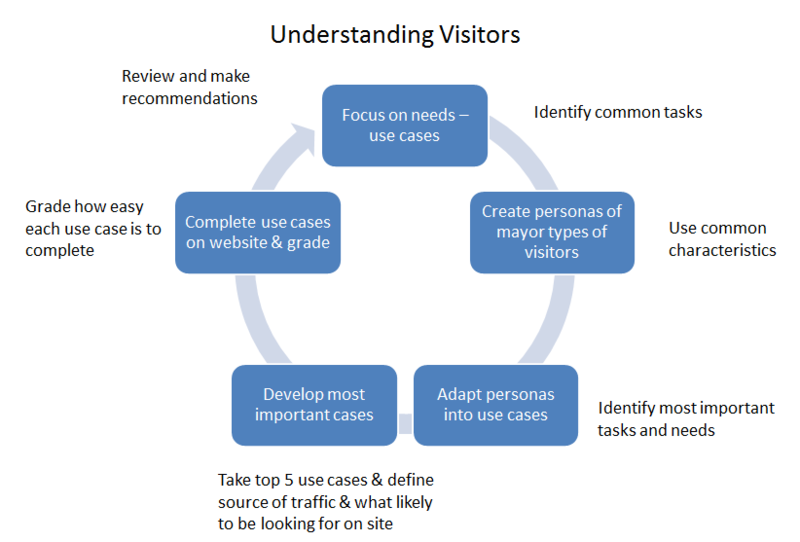 CRO Strategy – 10 strategies for successful conversion rate optimisation. CRO process – 8 steps guaranteed to boost your conversion rate. Prioritisation – How should you prioritise your A/B test ideas?